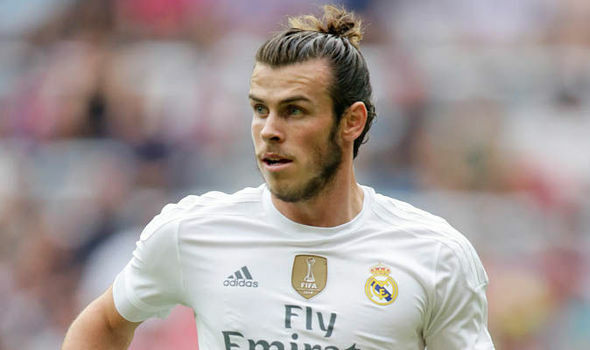 One stipulation that everyone made clear when Real Madrid signed on the greatest Welshman to ever rock the man-bun was that he was bought for less than the Portuguese Prince Cristiano Ronaldo. Pictured: The man-bun in all its glory. But is Ronaldo’s ego so great that he can’t possibly accept being paid slightly less than a teammate who is five years younger and an undoubted superstar? He wasn’t happy when Bale showed him up in their 10-2 rout of Rayo where Bale netted four to Cristiano’s two. Bale taken off with Ronaldo starting to get a bit annoyed at Gareth getting all the goals. Cristiano applauds as Welshman walks off. Scenes. Two goals out of the team’s ten simply isn’t enough to keep the ego of four-time golden boot winner Ronaldo happy. That’s why the news that Bale actually did cost more than Ronaldo is going to be a big whiny problem for Zinedine Zidane and company. Images have surfaced of documents that portray Bale’s transfer fee amounting to nearly 101 million euros– almost 5 million more than they did for Ronaldo in 2009. With the transfer window coming to a close and a ban looming, Real Madrid may have to take the opportunity within the next eight days to off-load one of their major stars in order to preserve team chemistry into the second half of the year. If Ronaldo boils over at the rumors he’ll likely throw a fit and demand to be traded, and Real Madrid might just take the opportunity to give the 31 year-old petulant prince exactly what he wants.